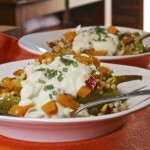 Autumn Couscous Stuffed Peppers-What the "Forks" for Dinner? 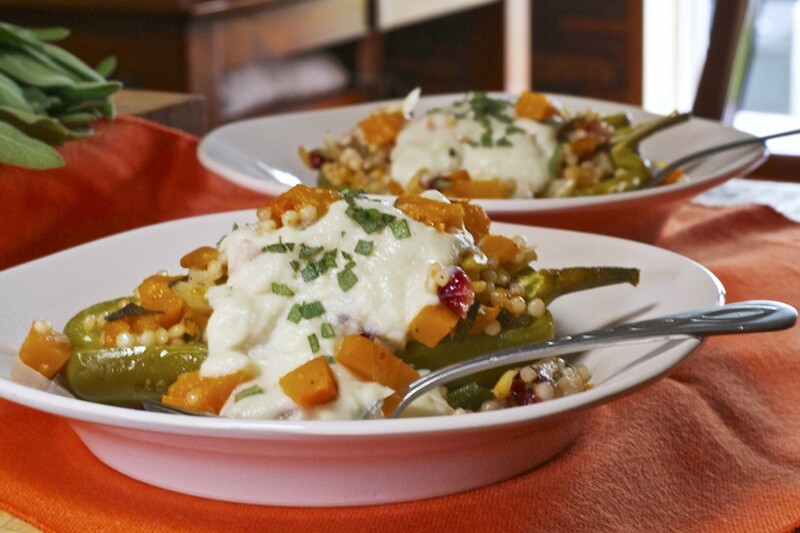 Stuffed Peppers are a dish found in different forms, and with different names all around the world. Here in the good old USA, they are typically stuffed with a ground beef rice mixture with a tomato base. Recipes are all different, but most involve removing the seeds and membranes from the pepper, then boiling them, stuffing them, and baking them again, covered with cheese…….and they are great! 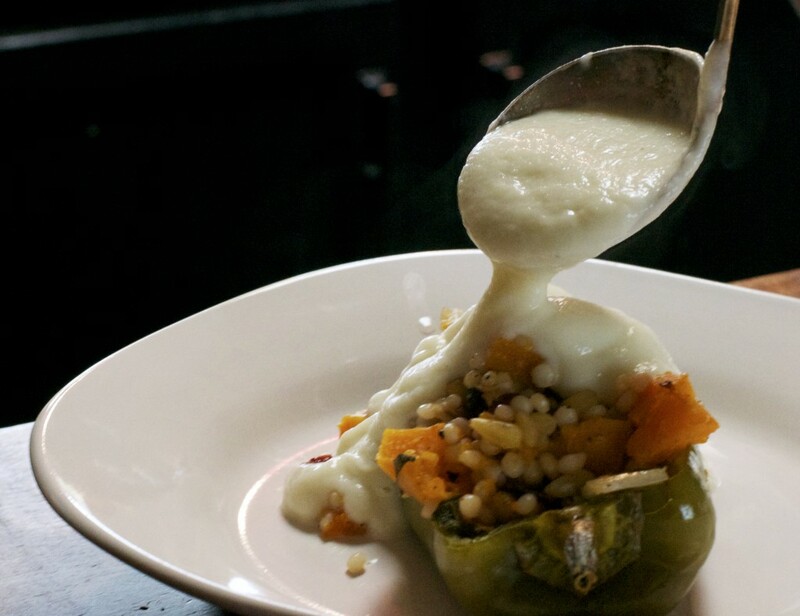 So, how do you improve on a good thing …….you make it better…….Autumn Couscous Stuffed Peppers! We had a bumper crop of green peppers at the end of the gardening season……..beautiful shiny green and really large. They begged to be made into stuffed peppers. Now, I suppose I could have made my good old Betty Crocker Cookbook recipe, but with the leaves changing and that smell of autumn in the air, why not try something……. autumny. I’m am a huge fan of pearl couscous, and am lucky that our grocery store carries it in the frozen section……yeah! But for this recipe if you don’t have that luxury or you can’t find the pearl type, the regular kind will work just as well. The couscous was my sub for rice. For veggies, I picked flavors I associate with fall……..fennel,squash,cranberries,and sage…….they blended with the couscous beautifully. Cooking all of it with chicken broth (if you want a total vegetarian dish you can use vegetable broth) and a touch of apple cider vinegar, gave it all a nice glazed quality. 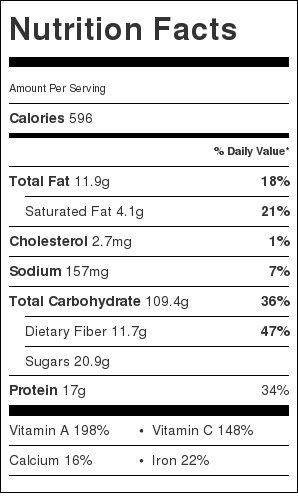 Now, that whole boiling the pepper thing……..not so much. It makes them mushy in my opinion, and there is really no need to go to all that trouble. Just stuff them, and cover them with foil, it steams them instead. Since the “stuffing” was not saucy, it needed a sauce…….my new favorite sauce…….Creamy Cauliflower Sauce. The only change I made was to use shallot instead of garlic. 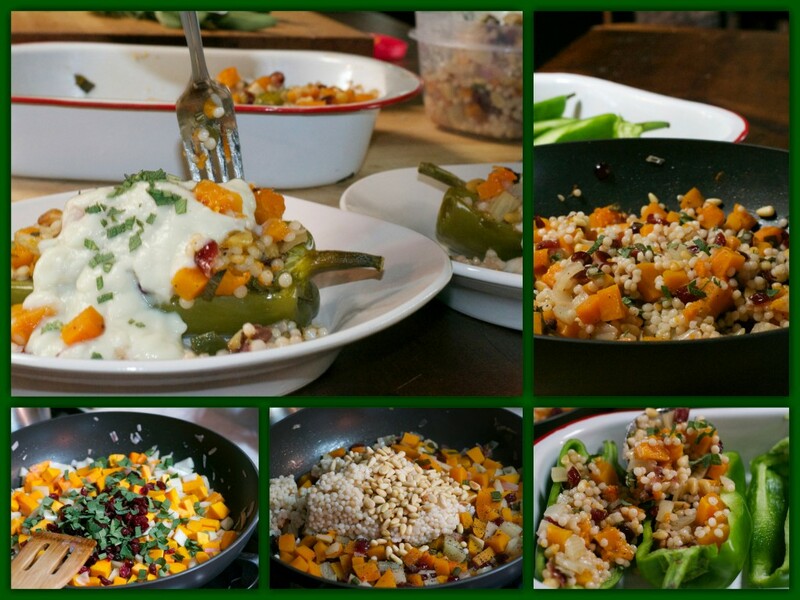 It was sooooo yummy over these Autumn Couscous Stuffed Peppers. I keep trying to think of ways to use this tasty sauce! When I started this dish, it was not my intent to make it vegetarian, it just sorta happened. Lucky for all you vegetarians out there…..wait a minute, also lucky for those who are not………and if you are not, maybe after you try this dish you will be………. Heat coconut oil in a large sauté pan over medium high heat. Add the shallot and cook for 1 minute, stirring often. Add diced fennel and cook for another 5 minutes or until fennel softens. Add butternut squash, sage, cranberries, chicken broth, and cider vinegar and cook for 15 minutes or until butternut squash has softened and almost all of the liquid has cooked down. Season with kosher salt and pepper. Add couscous and pine nut to the mixture in the skillet. Stir to combine. 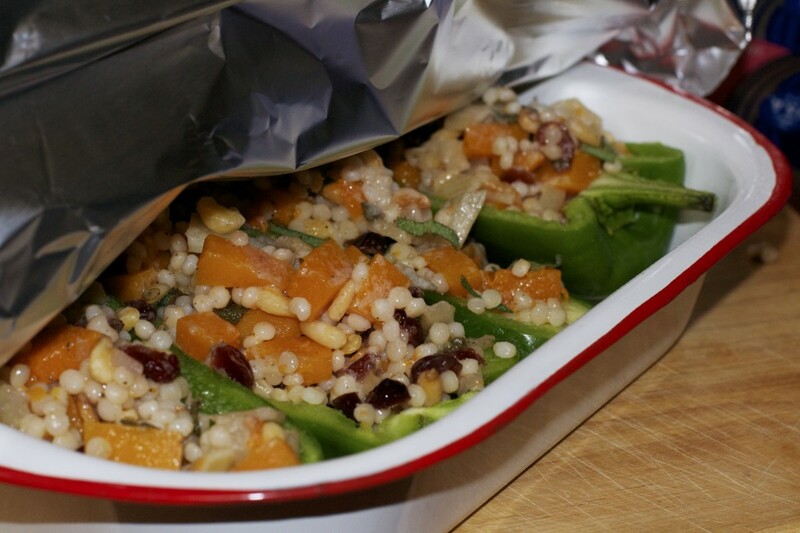 In a baking dish sprayed with nonstick cooking spray, place the green pepper halves. Stuff the peppers with the the couscous mixture. Cover with tin foil and bake in a 375* oven for 30-35 minutes. To serve,place one pepper half on plate or in a shallow bowl and top with Creamy Cauliflower Sauce and garnish with chopped sage leaves if desired.